Enjoy! 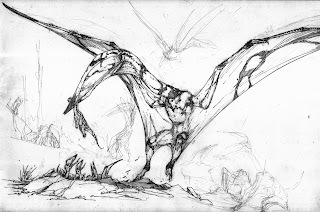 And if YOU are a pterosaur expert and I did mess up let me know! I knew about Pacific Rim, but not Godzilla! I hope this Godzilla will be better than the Japanese, a good story AND a good monster, a decent monster that's corny I can do without!